Thank you for registering for the Second Chance Expungement Summit, presented by Hon. 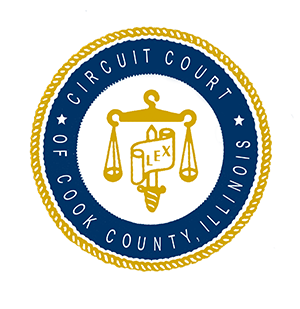 Dorothy Brown, Clerk of the Circuit Court of Cook County.The Expungement Summit is an opportunity for you to receive free legal consultation regarding your options for criminal records relief and, if you are eligible, to file petitions to expunge or seal. The Expungement Summit will be held on Saturday, June 1, 2019, at Westinghouse College Preparatory High School, 3223 W. Franklin Blvd., Chicago, IL, from 8:30 a.m. – 6:00 p.m.
Once your registration has been received, volunteer attorneys, under the supervision of Cabrini Green Legal Aid (CGLA), will begin researching your case in advance of the Expungement Summit. On the day of the Expungement Summit, volunteer attorneys will consult with you about your options for relief. You will also have an opportunity to meet with other service providers who will offer information about employment opportunities and other support services. Please complete the questionnaire, attach your RAP sheet for Chicago cases and, if available, your Criminal History Record from the Illinois State Police for Suburban Cook County and other Illinois cases. Registration will not be accepted without an attachment. If we have any questions about your application, we will contact you directly. Otherwise, we will see you at the Second Chance Expungement Summit on June 1, 2019. Download the Expungement Flyer for more information. If you would prefer to register at one of our off-site locations, click here to get a list of places to register in-person. Were you arrested before your 18th birthday? Email Address Notifications concerning your registration will be sent to this email address. Have you ever been arrested by any law enforcement agency other than the Chicago Police Department, including federal agencies? Note: Registration will not be accepted without an attachment. How do I find my IR Number? How do I find my DCN Number? Acceptable formats for documents to be uploaded: jpg, jpeg, png, gif, pdf, bmp, and tif. File cannot exceed 10 MB in size. If your file exceeds this limit or is not in one of the acceptable formats, you may register in-person at one of our partnering facilities. Click here to get a list of places to register in-person. The documents I have submitted are required to register for the Clerks Office 2019 Expungement Summit. Failure to submit all required documents may result in an incomplete registration. I am required to supply the original version of all scanned documents on the day of the 2019 Expungement Summit. The Clerks Office makes no guarantee that my records will be expunged or sealed. The Clerks Office does not provide legal advice. Notwithstanding the need for review related to the 2019 Expungement Summit, the Clerks Office will take all reasonable measures to maintain the privacy of my documents. I fully indemnify and hold the Clerks Office harmless from any and all claims, of any kind, whatsoever arising out of my registration for the 2019 Expungement Summit, including but not limited to technical failures and deleted, destroyed, or corrupted data. If I have a drug conviction, I must bring the results of my drug test taken NO MORE THAN 30 DAYS BEFORE JUNE 1, 2019 to prove the absence of any illegal substance in my body. Copyright © Clerk of the Circuit Court of Cook County. All Rights Reserved. To hear recorded information about the Expungement Summit and/or leave a message call (312) 603-5200, or send an email expungementsummit@cookcountycourt.com. For all other related questions, contact the Criminal Department at (312) 603-4641.